This bit looks like a bull nose bit, but a smaller cutting diameter adjacent to the bearing makes it a perfect shape for table legs and other furniture details. Use one pass to mill an attractive rounded edge, or make two passes to mill a full-round corner bead. Equipped with a bearing for easy template work, this tool features super-strength superior steel body, Non-Stick Orange Shield Coating and cutting edges made of SinterHip Hi-Density Industrial Chrome Carbide for a long-lasting performance. 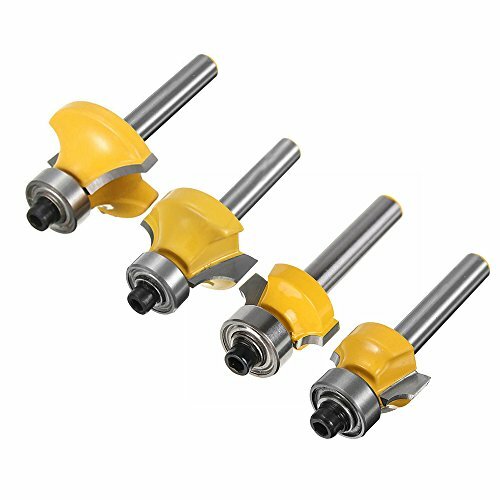 After a test performed by Wood Magazine, CMT orange bits have been rated the first overall router bits compared to other brands. Forms a single bead with a square shoulder. 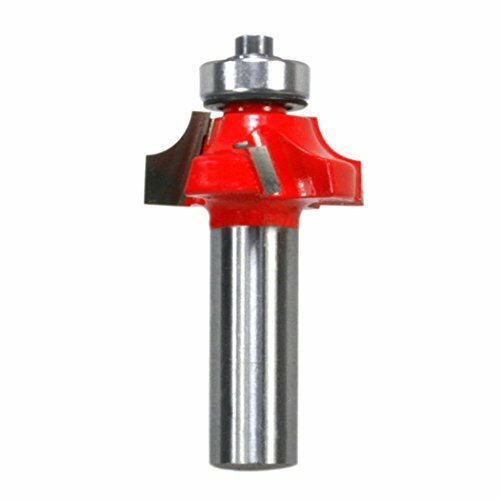 1" Overall Dia (D), 9/16" Carbide Height (h), 1/4" Shank, 1/8" Radius ( R ), 2-3/16" Overall Length (H), 1/2" Bearing Dia (B) Ideal For: Decorative, rounded edges for any furniture or millwork project. Application: Matching moldings in historic homes. Made In Italy. Add an attractive bead profile to furniture and millwork with Freud beading bits. For rounding over work, add a Freud 62-104 bearing and 62-313 step washer. 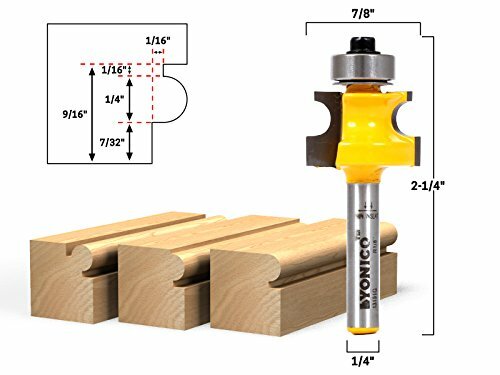 1-1/4" Overall Dia (D), 1/2" Carbide Height (h), 1/2" Shank, 2-1/2" Overall Length (H), 5/8" Bearing Dia (B), 1/4" Radius ( R ) Ideal For: Decorative, rounded edges for any furniture or millwork project. Application: Decorative edges and rounded edges. Made In Italy. 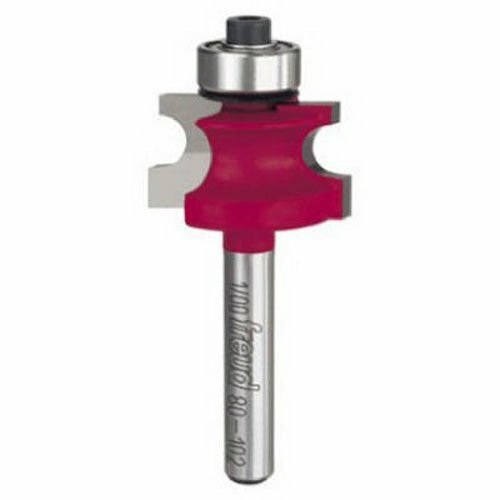 Bullnose bead router bits are great for adding beads to furniture corners, legs and face frames. This design softens the edges of the piece and adds a classic look to it as well. To create the complete corner bead on furniture edges and legs, flip the stock lengthwise and rotate to the same corner to complete the profile. Enhance your doors and drawer fronts and leave your visitors amazed. 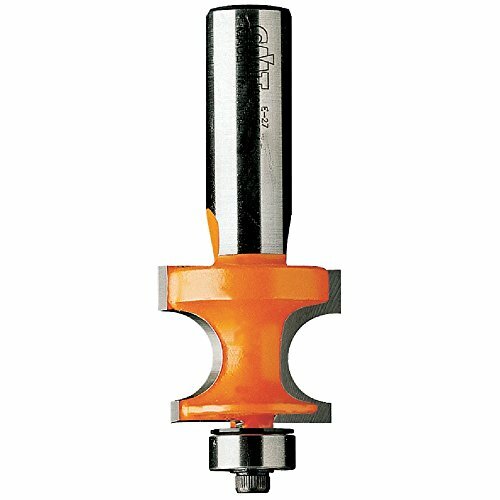 This ogee bit cutting edges are carbide-tipped for effective, smooth and eye-catchy work. 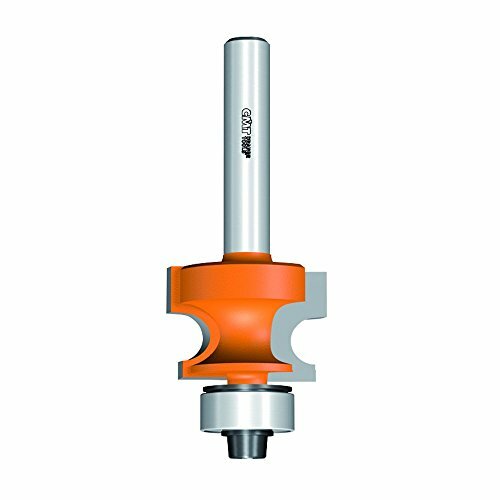 Tool is equipped with 2 Hi-Density carbide-tipped cutting edges for long-lasting cutting performance, features anti-kickback design to control the depth of cut and PTFE-coating to prevent pitch and resin build-ups. CMT orange bits have been rated the #1 overall router bits compared to other brands (Wood Magazine). 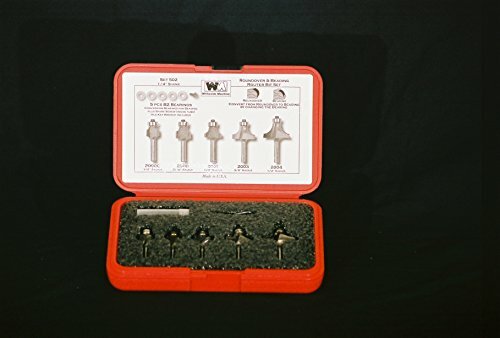 Freud # 80-126 Traditional Beading Bits, 1/4'' Rad. x 1-1/8'' Dia. x 7/8'' H x 1/2'' Sh. Application: Matching moldings in historic homes. Forms a single bead with a square shoulder. Commonly used by remodelers to match base moldings in historic homes. Cuts all composition materials, plywoods, hardwoods, and softwoods. Use on hand-held and table-mounted portable routers. Shopping Results for "1/4 Beading"